Earlier this week KXAN’s Studio512 toured our new studio on West 42nd Street. In the segment, Heather and Studio512 host, Amanda Tatom, talk through the design decisions we made for our space during its renovation. Heather also shares tips on how you can modernize your own cottage-style home. You can watch the full segment here or read our full post below for design ideas. 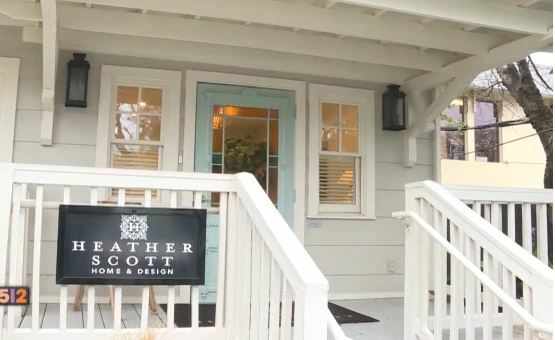 Cottage or bungalow style homes are a popular style in many Austin neighborhoods, especially Central Austin. They have undeniable charm and personality. However, the these smaller homes can present some design challenges like low ceilings and little windows. We experienced this firsthand when we moved to our new location, a cozy, 1950s bungalow. But what these homes lack in square footage, they more than make up for in character and, with thought and care, you can preserve the cozy, intimate vibe, while also bringing a cottage up to date. Below we have some tips that can modernize your small cottage or bungalow style home, without sacrificing the essence of this style of home. Choose a fresh white scheme & create the illusion of more space. With their small windows and low ceilings, cottages can be dark, so to maximize light choose a white scheme. It will also bring your cottage into the 21st century, since bright white throughout feels stylish and contemporary. Using the same color on the woodwork, trim, and walls will make the walls appear taller. It also helps to use white on the ceiling so that you’re less aware of where the walls end and the ceiling begins. An easy visual trick with a lot of impact! 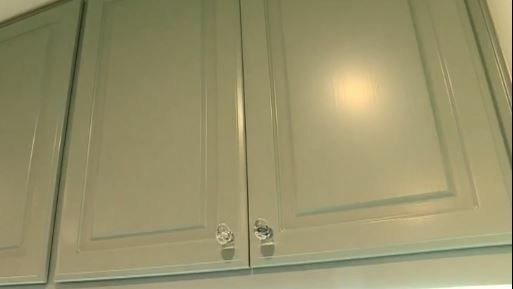 We know there are so many white paint choices! We have tried to narrow it down. Look for traditional neutrals so that your home feels timeless and blends with the traditional nature of your home. Our walls are painted in Farrow & Ball Pointing, a warm and delicate white. It is considered a red based neutral. The red undertones of this color really soften our space. Red based neutrals pair effortlessly with unfinished woods or relaxed linens for a slightly aged look and beautiful feel. We also love Benjamin Moore White Dove for a white that has some depth. You can get this color matched to your paint brand of choice very easily. Paint color isn’t the only way you can refresh a cottage style home. Window treatments also soften a space, make a room feel finished, and make those small windows feel more grand. 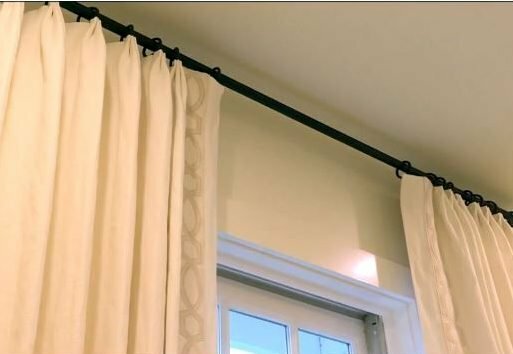 One of our visual tricks, even in larger, more modern homes, is having your draperies extend past your window. Then, your window treatments will simply frame your views, not block them. In the case of small homes your window will appear larger, which is always appealing. We extend the rod 12 inches past either side of the window. Then we center the rod to be halfway between the ceiling and top of window. To keep with our soft, neutral scheme, we went with light neutral draperies and added an elegant tape. With low ceilings, most cottages can’t fit chandeliers or pendants. 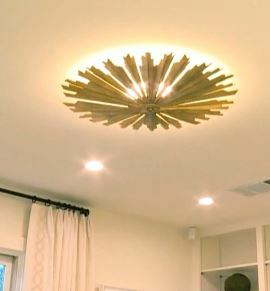 However, that doesn’t mean your low ceiling can’t have the high style of dramatic hanging light fixtures. 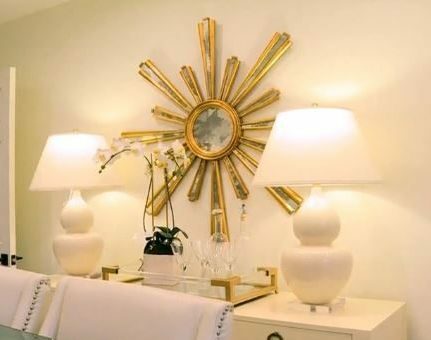 Flush mounts and/or wall sconces can give your space glamour. Focus on little details that can make your small space feel fresh and updated. For example, marble countertops or quartz alternatives are a stylish addition to a kitchen. We used Silestone’s Eternal Collection for the countertop. A calacatta marble mosaic backsplash adds a touch of luxe to our bungalow’s kitchen. 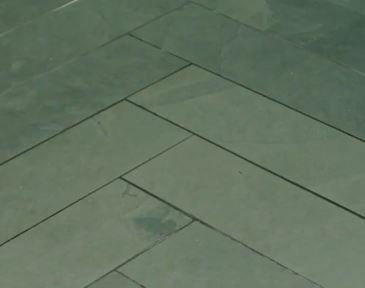 Oversized slate tiles laid in a herringbone pattern in our bathroom bend tradition and give a fun updated element to the space. Stay authentic to your own style and the style of the home. Blend the new with the old. You want updates to feel as though they have always belonged. If you have a home that needs some updating, fill out our questionnaire or visit our shop to get the process started.